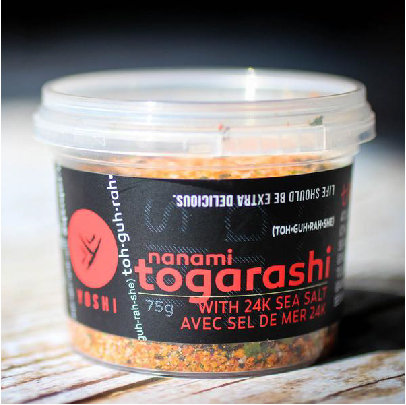 Adding sea salt to this popular bright red-orange Japanese spice blend makes this even more worthy of being pantry staple! Togarashi means “chiles” in Japanese. This Japanese spice blend is normally sprinkled over Japanese noodle dishes, such as udon and soba. It includes red chili pepper, black pepper, nori, orange peel and sesame seeds, along with sea salt. It is excellent as a seasoning on potatoes for oven or home fries and is also delicious on steamed vegetables such as broccoli with sesame oil.